Making your own Christmas tree ornaments is fun and there is such a special feeling when you start decorating your house and you’ve made all the decorations yourself! 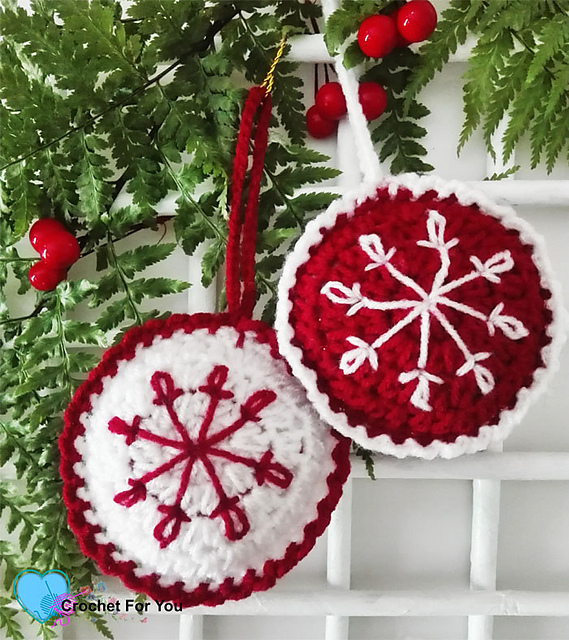 These crocheted Christmas Baubles by Erangi Udeshika are super cute and easy to make and they add a warm homely touch to your Christmas tree. 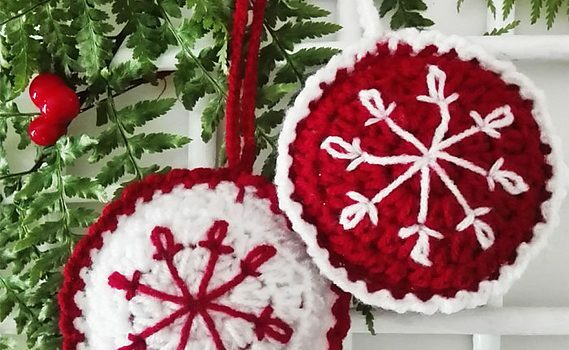 The snowflake embroidery adds even more festive feeling to these ornaments. Thanks to Erangi for the article inspiration and featured image. [Free Pattern] These Colorful Sheep Crochet Appliques Are Beyond Cute And So Adorable! [Free Pattern] Adorable No Seam Baby Booties- The Easiest Pattern Ever! Adorable. Fyi, they would make great beverage coasters also.